Outstanding wine is a part of Spain that is deeply rooted in its culture and history. Many tourists visit the country of Spain not only to enjoy its white beaches, clear sea, or delicious tapas but also to explore the wonderful world of Spanish wine. Many places offer traditional wine tastings that are a truly unique experience. Priorat is located in Catalonia and is a world-famous wine region. The annual Espai Priorat Exhibition, usually held in the month of May, is a three-day internati onal exhibition that exists for many years. It hosts more than 60 wine experts from over 20 different countries. During this special exhibition, participants have the unique chance to visit vineyards and traditional cellars. They will get to know everything about the breathtaking landscape and the technique which is used to create this outstanding wine. It is a wonderful experience that will let the heart of every wine lover beat faster. 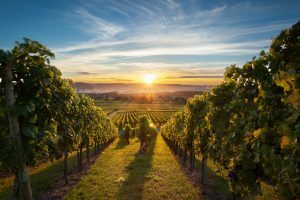 In order to explore the fascinating world of Spanish wines, it is best to actually visit this country and its main wine regions. Participate in wine tastings and different exhibition to learn more about it. However, if you do not have the time to travel, there is also the possibility of trying it wherever you are. Many stores offer numerous Spanish wines. You will also find a lot of online shops which will help you to find the best deals. For example, you can find exclusive Spanish wine online here. NextNext post:Spanish Football, La Liga.